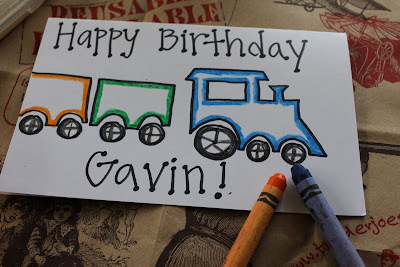 Is it just me or does it feel like your kids have a friend's birthday party every other week? Tired of spending (or wasting) money on cheesy birthday cards? 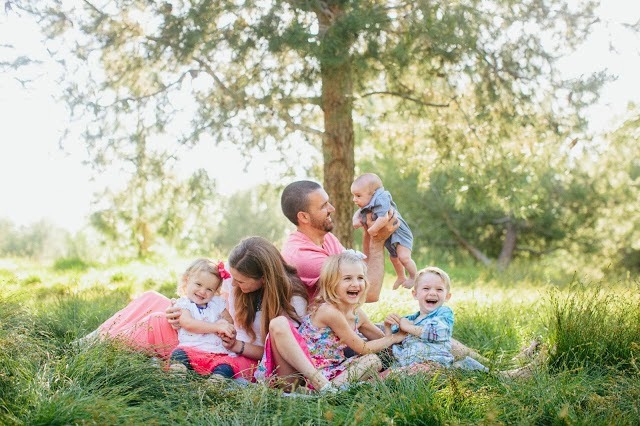 Once you realize how cute and easy it is to make your own (or rather help your kids to make their own) you'll never go back to the lame store bought version again. 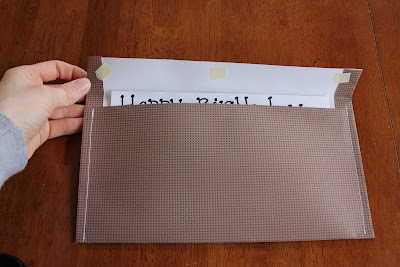 Fold the piece of cardstock in half to make a card. Draw a picture of your choosing. I like to draw something that coordinates with the theme of the party we are going to. Can you guess what this party was about? 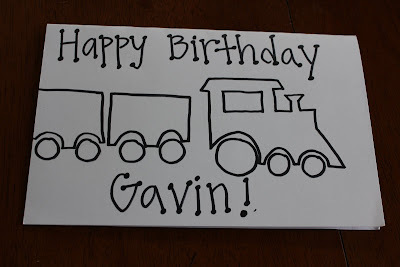 *I just searched Google images for the word "train" and then copied an image I liked. 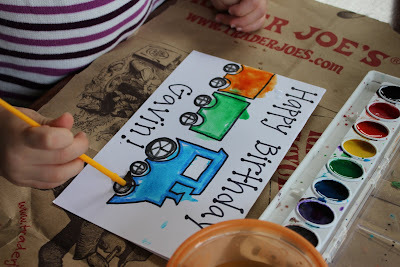 I usually to outline the big main images in crayon so Mackenzie knows where to paint. It also helps keep everything in the lines (a little bit at least). Let your little one paint away with water colors. Write a little message on the inside and you have your unique, cute and free birthday card! Since I didn't have any large envelopes on hand, I decided to whip up one of my own. folded the paper over the card and sewed down the sides to make a pocket. Then I taped the top down with scrapbook squares. 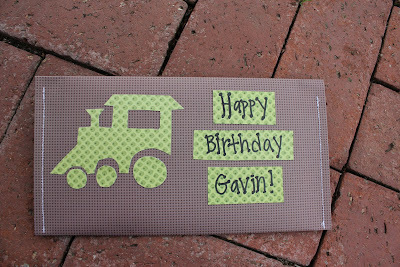 Then to spice up the front I drew another picture of the train, cut it out of scrapbook paper and then glued it on. SO cute! I will have to remember this next time I need a card for a birthday party. 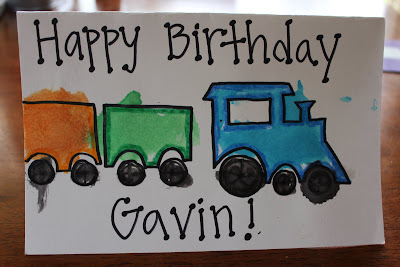 What a fun card to try with kids !